Someone says that the morning of Lhasa wakes up with the bell of temple. However, for some people who love eating, they will wake up with the smell of Tibetan sweet tea and Tibetan noodles in Lhasa streets. 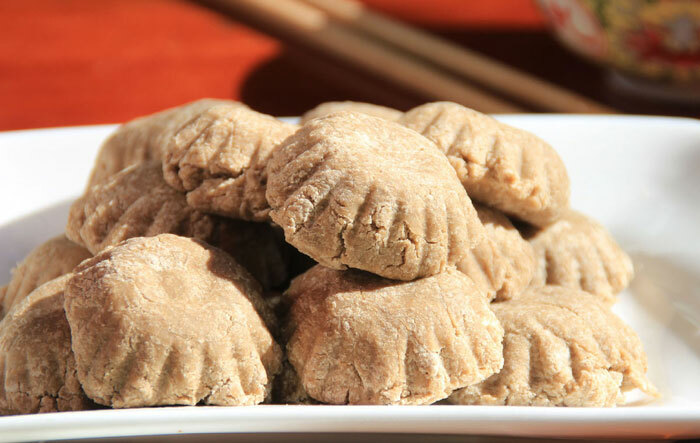 Here are some top Tibetan food you would taste in your Tibet tour. In the early morning of Lhasa, there are seldom pedestrians in the streets. Most people are still in their sweet dreams. But the sweet teahouses have already been a bustling. Staff are busy with boiling beef soup and sweet tea. And with the nice smell of the tea soup and beef soup, a good day begins. Of course, there are many Tibetan food besides the sweet tea and Tibetan noodles. The food on this snow-covered plateau had a unique flavor through thousands of years’ development. 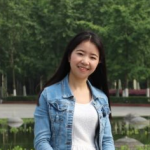 Different from the mainland China, their diet is mainly based on the pasta, meat and milk. 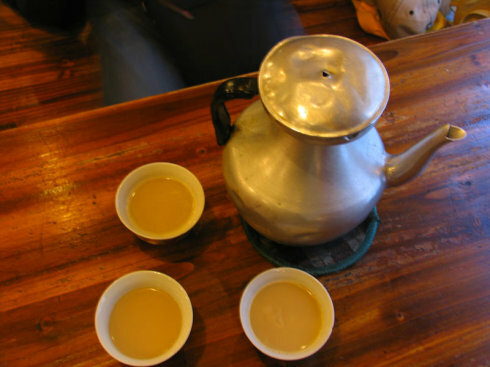 In the meantime, tea culture and wine culture is also an important part of Tibetan diet. Zanba or Tsampa is the most common pasta in Tibet. It is a kind of wheat flour made of roasted highland barley. What’s more, it can be eaten directly or it can also be made into other food. The process of making Zanba is first roasting the barley seeds, then grinding it into flour, then mixing it with ghee. After mixing all the roasted flour, tea and ghee, the dough gets thicker, and people knead it into dough balls and eat them. Tibetan people use hands or spoons instead of chopsticks when eating. The best partner of Zanba is raw beef sauce, the aroma of highland barley accompanied with the unique Tibetan-style raw beef sauce. Once you have eaten it, you will never forget the delicious taste. The process of making the raw beef sauce is very simple. First, smash the fresh raw beef into beef mud. Then stir the salt, chili powder, minced garlic, ginger and some other sauces. The delicacy of raw beef sauce is flavor while the delicacy of the dried meat is authentic. Every winter, Tibetans will carry out the winter slaughter off the sheep, cattle and other livestock. Afterward, they will cut the meat into jerked meat and hang it on the roof. Finally, the cold wind and snow will blow the jerked meat. Until the Tibetan New Year, the whole family will eat the delicious jerked beef and mutton. 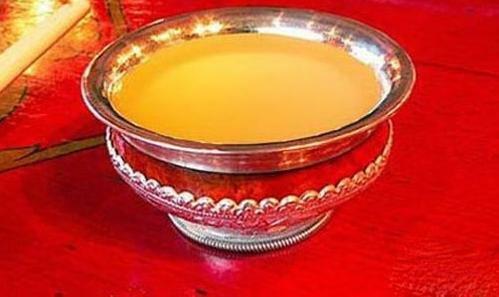 Moreover, the most famous food in Tibet is Butter Tea which is made of tea, butter, walnuts, salt and eggs and other raw materials. Highland barley wine is also a popular drink in Tibet. Almost every household may brew the highland barley wine. The procedures of brewing highland barley wine is complex. From choosing materials, immersion, cooking, fermentation and blending, each procedure is very particular and careful. More information about Tibetan food and drinks, please follow our Tibetan Cuisine.